Food is a necessity. The consumable item is now a great idea for many entrepreneurs to jump-start their own restaurant business. From professionals to students and even families are seen gorging on their favorite dishes in a nearby restaurant. It’s a business that’s growing at a fast pace. Let’s go through this fact check. There are over 1-million restaurant locations all over the United States. By 2027, there will be about 16.3 million jobs in this industry. The restaurant industry produces about $799 billion in sales per year. This data clearly shows the potential this industry holds. But to begin with your business plan, you need to step over the first challenge— how to pick a name for your restaurant. Starting your business can be daunting. In fact, selecting a name suitable for your restaurant business may be as challenging as creating the perfect menu. Let’s check out world’s most popular food joints’ names such as Dunkin’ Donuts, Domino’s, McDonald’s, Zomato, KFC, Food Panda, etc. What do you find one thing common in them? They all have a unique, easy and memorable name. It’s the name that has given them their unique brand identity. These brands are famous not only for their tempting offerings but their brand name as well. Well, that’s their names, how are you going to name your business? Can’t figure it out? Don’t worry; we will help you pick a name for your food business. 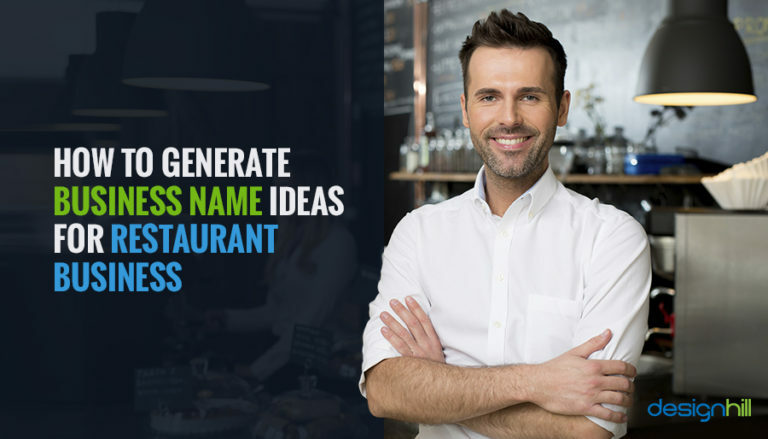 Here is a list of Restaurant Business Name Ideas for your startup. The first thing a customer sees in your brand is its name. No matter how impressive your menu card design is if your name isn’t catchy, customers won’t mind switching to the next available option. However, if they find it appealing, they will remember your restaurant. They will even spread the word for you. If you are unable to find a catchy name for your restaurant business, don’t worry. Do not go here and there, instead go straight. It means, taking a direct approach and picking a business name that clearly shows what you do or offer. Take for an example, the Florida-based fast-food chain— Burger King. It has a straightforward name that shows it offers burgers. They implemented their business idea in their logo too. It simply means not only a direct name but a suitable logo is also important. You need to create a logo which could easily showcase what you offer. Remembered, the movie Avengers- Infinity War’s hilarious dialogue between Dr. Strange and Peter Parker? Yes, this one— “Oh, We’re Using Our Made-Up Names? Then I’m Spiderman.” If you find hard to come up with a direct name, use a made-up one. How to do that? Well, you need to coin two or three words together and create a business name that doesn’t exist in the dictionary. Sometimes, you will find coined names with meaning as well. It goes like A+B= Name or AB+C= Name. Subway— the fast-food franchise has a name made up of two words “Sub” and “Way.” It’s simple and easy to understand. Regardless of the straight or coined name approaches, according to the science, an easy name is the best way to go. According to psychologists, share prices in businesses with easy-t-pronounce names drastically outperformed businesses with hard-to-pronounce names. And, the reason behind this is cognitive fluency. It can influence the way customers shop around. As a survival pattern, psychologists consider that the easy names are likely to gain preferences while the harder ones get avoidance. Let’s take an example of Dunkin’ Donuts. Despite being a bit longer, the name is easy to pronounce and stays in the memory for longer. However, the company has decided to rebrand itself as— Dunkin’. With so many restaurants around, finding catchy names for food business is exhausting. However, you can ease out the task to a certain extent by finding a unique name. And, to do this, you will have to create a list of every restaurant in your locality. Most preferably, pick the ones that have the same brand identity which means the same menu as yours. For example, if you want to offer Mexican food, check out the restaurants offering the same cuisine. If their names reflect Mexican, choose a different name. Take the help of Google to see if the name you are planning to use as your restaurant business name is already in use. If it is, pick another name. Also, you can use alliterations to create unique names for your restaurant. What you have to do is to pick a control word, check the dictionary and find another word that matches it and begins with the same letter. Names created using this method usually are rhythmic in nature and unique. On top of that, they are easy to recall. For instance, Dunkin’ Donuts, Brunch Bar, Pita Pan and more. Not just the name but other elements of your business such as logo should also be unique. A graphic designing company like Designhill can help you get a unique logo as per your business needs. Why to use a logo while naming a business? That’s the question popping out in your mind right away. Here the concept to design a logo is to see if the name you have shortlisted is suitable. A logo isn’t just a visual representation but a must-have component for branding your restaurant business. Not only it complements the goals of your restaurant but also helps describe what you offer or do. Besides, it expresses your value as a brand. What you have to do is to choose a suitable restaurant logo design. Keep in mind that this process is sensitive. It needs a thorough approach too. Not everyone can create a stunning logo than someone who is proficient in it. Either hire someone or get the job done using a freelance designer. If you choose to get graphic design services, better choose a reputed company. Doing this will help you get a logo of your choice. Now, check to see which name looks better with the logo. How does the name appear with the logo when put on your official social media page, signboard, banner or website? Pick whichever looks better. Seek people’s opinion on the same. What’s the concept of your restaurant business? Is it to open a bakery, a fast food restaurant, homemade food business, coffee shop, food truck, food processing, or pizza delivery? There are hundreds of ideas to pick from. Consider your concept and then pick a name based on that. Remember, having a concept can either motivate you to pick a specific name or inspire you to switch to another name in case the name isn’t based on your concept. For instance, for restaurant business planning to provide pizza, a name such as Dessert Heaven may not be suitable. However, a name like Pizza Heaven or Pizza Express would be a perfect fit. It means avoiding names with locations or based on geographical areas. Going with a name that’s based on a particular location, will not provide room for further expansion. Plus, it will create a problem for your future business plans too. For example, picking 77 Lakeside Fresh Food isn’t a good idea. It can limit your business to that particular street. And, when you plan to move or expand your business, it will leave you with no other option but changing your name. Once you have finalized a name, the next step is to register a domain name. It should also be on the same name. The name of your business and its domain cannot be different. It is advised to choose a .com domain. If the name has already been taken, check to see if it’s available for auction. Or ask the owner to sell it to you for a reasonable price. Don’t forget to secure your social media page as well. You can visit https://www.uspto.gov to check if the name is available for trademark. Once done, hire a logo designer to create a logo for your registered domain name. Using a personal name is quite common in the restaurant business. It allows you to start a conversation with your prospects. You can even give it a more personal touch by naming your business on your family member or a friend’s name. For instance, Papa John’s, Mike’s Restaurant, and many more. Also, in this section come restaurants that use the type of cuisine they offer. Steakhouse, for instance, makes it easy for the customers to understand what exactly they provide. Many businesses don’t mind adding a punch of humor to their names. While they are funny, they may drive off your target audience who find such names offensive, rude or unattractive. Be careful if you are going to pick a name like that. Also, consider how it would appear when written as a URL when you get a website.Usually, a long name doesn’t go along with a URL. Marketing strategy should also be considered while choosing a name. Irrespective of the purpose and ideas you go through, make sure the name you pick is satisfactory. You are going to stay with your business name for longer. If it’s something that you picked in a hurry but do not look happy about it, then the name is of no use. Your satisfaction matters a lot. Picking a name for your restaurant business isn’t enough. You will have to go beyond this. In fact, you will need to protect your business from piracy and other trademark violations. 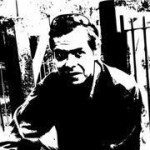 Yes, there is a little more than creating a name. Check intellectual property and trademark regulations. Get your company registered to avoid such hassles. Whether you are building your business from scratch or buying a franchise, you need to get in touch with the trademark and service mark departments. Once you have done this, your restaurant business is ready to take off! The name you choose for your restaurant business tells a lot about you. It’s the first thing your prospects get to know about your business. While uniqueness is quintessential for a memorable name, considering cognitive fluency is highly essential. If your prospects can’t pronounce or write your name, your restaurant business won’t succeed. Therefore, get an easy name that resonates with your business concept.